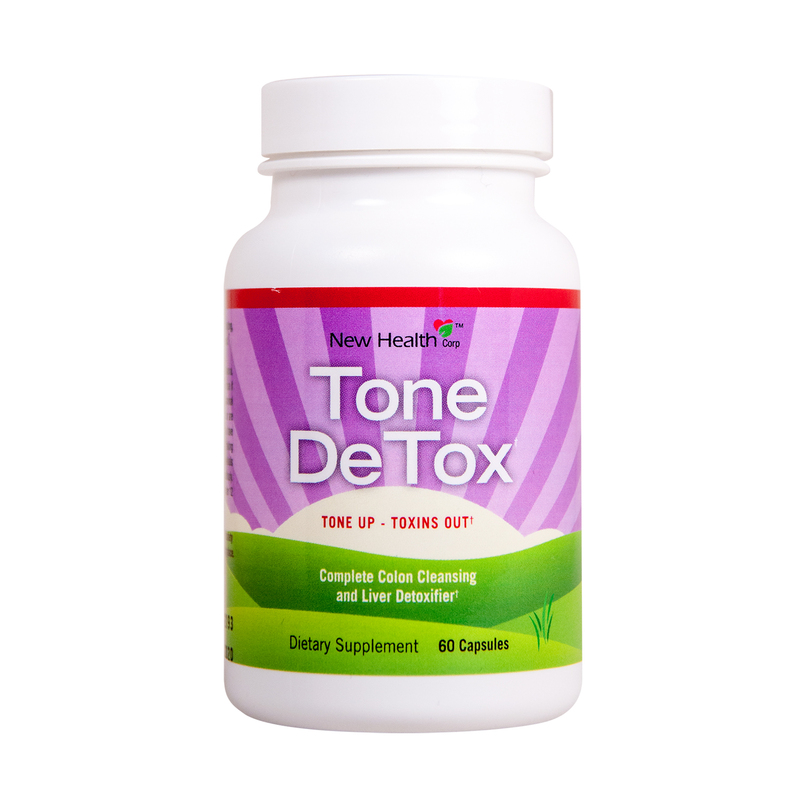 Tone deTox™ is the perfect product for those trying to Tone up and remove unwanted toxins from their body. Its unique formula helps reduce gas, bloating and water retention. Get ready to Tone up and Detox! Do you occasionally suffer from gas and uncomfortable bloating? Do your clothes feel tight when this happens? Try Tone Detox™ risk free and look and feel healthier and younger today! Tone deTox is all natural and works gently in your system. Herbal detoxifiers remove toxins while promoting efficient digestion and reducing calorie absorption. Tone Detox speeds the processing of calories through the GI tract, restricting calorie absorption. The digestive enzymes work efficiently to digest food eliminating gas and bloating while encouraging weight loss. How does Tone deTox promote weight loss? Think of Tone deTox the way gastric bypass surgery works, but without all the bodily trauma, health risks and expense. Weight loss is all about minimizing calories and calorie absorption. • The appetite suppressant reduces the amount of food consumed. • The digestive blend and other ingredients move calories through the GI tract, quickly minimizing calorie absorption. • Gas and bloating are reduced. • Weight loss is encouraged without the use of stimulants. • Tone DeTox helps eliminate toxins, bloating, gas and constipation. 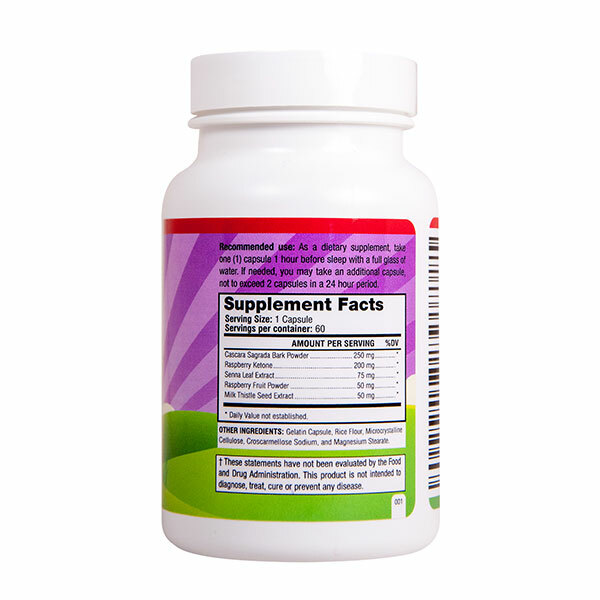 • Improves absorption of vitamins and minerals from your diet promoting improved body function and health. • Suppressed appetite results in smaller meals, contributing to weight loss. • Reduced absorption of fats and carbs helps sustain healthy weight loss. Many of us have weight problems. In my 12 years of working in the weight loss field, I have noticed that many people who need to lose weight don’t eat that much. After years of banging my head and trying to understand how this could be, I had a revelation. It came to me when I was assisting with after patient care for gastric bypass patients. I made certain that patients ate or drank enough protein, vitamins and minerals to grow, maintain and repair properly so they could live a healthier life. The principal theory of the gastric bypass is to create a 2-4 oz pouch of stomach, then bypass 2/3rd of the small intestine. Bypassing 2/3rds of small intestine results in less time for calories to be absorbed. This inability to absorb calories, combined with less calorie intake, stimulates weight loss. The problem with GB is that the patient permanently has their intestines rearranged, sometimes with fatal side effects. It all makes sense to me now. It’s not just about food intake or how much you expend with metabolism and exercise. The absorption of calories is really the #1 concern. The body is so intelligent it even created microscopic fingerlike projections known as villi. These villi greatly increase the surface area of the small intestine to maximize caloric and nutrient absorption. I set out to find a product that sped up the movement of food throughout the GI tract. Increasing the rate at which food moves through the GI tract causes weight loss by reducing the calories absorbed. The “side effect” or additional benefit of Tone deTox is simple. Have you ever left a meal sitting out for 2 or 3 days? What happens? It starts to break down. The same thing happens in your intestines. The longer food remains in your intestinal tract, the more gas is produced as a by-product of bacterial metabolism, which often leads to bloating. It can cause toxins to be absorbed into the blood stream. As a result, the immune system has to attack these toxins leaving its defenses more prone to attack. Tone deTox works by increasing the rate at which food moves through the GI tract. * This reduces calorie absorption which encourages weight loss. * The food also has less time to break down which leads to fewer toxins inside the intestinal tract and in the blood stream. This means more energy and a stronger immune system. Glucomannan is gaining popularity in weight reduction and is often included in “grapefruit diet” tablets. Some studies show that patients treated with oral glucomannan have decreased body weight compared with control groups. In one study involving an 8-week cardiac rehabilitation program, patients were given a 1.5 gram dose of glucomannan twice daily. Body weight among treated patients decreased by 1.5 kg (3.3 pounds) after 4 weeks and by 2.2 kg (4.84 pounds) after 8 weeks. These losses are significant when compared with the placebo group. Green tea is used to increase energy, decrease sleepiness, and to ease upset stomaches. Green tea may also help control cholesterol levels and has been used for certain types of cancer or other diseases. Green Tea is an herbal product that increases antioxidant activity in the body. Green Tea contains caffeine, which increases the activity of the nervous system. Green Tea’s health benefits involve the antioxidant capacity. Experiments show a direct effect of tea on reactive oxygen species and the chelation of metal ions, such as iron and copper. Clinical trials have demonstrated that tea consumption improves plasma antioxidant capacity and biomarkers of oxidative stress. Placebo-controlled clinical trials suggest Green Tea may contribute to weight control. Plants known as “wild sennas” grow on moist banks and woods in the eastern US. The top parts are harvested, dried, and graded. The hand-collected senna is known as Tinnevally senna. Leaves that have been harvested and graded mechanically are known as Alexandria senna. What is Senna used for? Senna was first used medicinally by Arabian physicians as early as 9th century AD. The leaves have been brewed and the tea administered for its strong laxative effect. It is difficult to control the active ingredient in tea yielding ranged effects. Standardized commercial dosage forms have been developed to promote more consistent results. These concentrates are available as liquids, powders, and tablets in OTC laxatives. Remove Those Toxins! Senna contains anthraquinones and sennosides, as well as other active ingredients that all appear to help remove unwanted toxins from the body. Senna is most commonly used as a laxative. There is clinical evidence to support this use. What is milk thistle?Milk thistle has been used for stomach and appetite complaints, liver problems, gallbladder problems, and as an antidote to death cap (Amanita) mushroom poisoning. Milk Thistle works by strengthening and stimulating liver cells, which prevents toxins from entering the body. In homeopathy, a tincture of the seeds has been used to treat liver disorders, jaundice, gall stones, peritonitis, hemorrhage, bronchitis and varicose veins. Liver disordersThere are many clinical trials that indicate its benefits in the use as a liver protectant and for various conditions of the liver. Milk thistle extract and its major components have been found to be effective in treating toxin-poisoning, cirrhosis, and hepatitis. Milk Thistle Extract is widely used in Europe for mushroom poisoning treatment. Milk thistle reduces liver damage due to long-term treatment with phenothiazine or butyrophenone therapy. Research shows that it shortened treatment time in patients with acute viral hepatitis. Data regarding protection against alcoholic cirrhosis and hepatitis are equivocal. Milk thistle can also promote good health in the circulatory system, the immune system, have positive lipid and biliary effects, have positive effects on the liver, and prevent toxin uptake. Lipase is a digestive enzyme necessary for the absorption and digestion of nutrients in the intestines. Lipase is responsible for breaking down lipids and triglycerides(fats). Once broken down into smaller components, triglycerides are more easily absorbed in the intestines. Lipase is primarily produced in the pancreas but is also produced in the mouth and stomach. Proteases is an enzyme catalyst used to break down proteins. They are also called proteolytic enzymes or proteinases. Proteolytic enzymes are very important in digestion as they breakdown the the peptide bonds in the protein foods to liberate the amino acids needed by the body. Proteolytic enzymes have been used for a long time in various forms of therapy. Their use in medicine is notable based on several clinical studies indicating their benefits in oncology, inflammatory conditions, blood rheology control, and immune regulation. Protease is able to break down almost all proteins as long as they are not components of living cells. Normal living cells are protected by an inhibitor mechanism. Parasites, fungal forms, and bacteria are protein. Viruses are cell parasites consisting of nucleic acids covered by a protein film. Enzymes can break down undigested protein, cellular debris, and toxins in the blood, sparing the immune system this task. The immune system can then concentrate its full action on the bacterial or parasitic invasion. Amylase is an enzyme which breaks down starch and glycogen into reducing fermentable sugars, mainly maltose, and reducing nonfermentable or slowly fermentable dextrins. In animals the highest concentrations of amylase are found in the saliva and in the pancreas. Salivary amylase is also known as ptyalin and is found in humans, the ape, pig, guinea pig, squirrel, mouse, and rat. I lost 40 pounds in 30 days. Tone Detox does curb your appetite! My husband is so impressed that he is now going to try it. Thank you! I just had to send you a note to let you know how much I love your Tone deTox product! I was amazed when I started to notice a difference after the very first day!..After only 2 weeks I lost 7 pounds! One side-effect of having a thyroid condition is that you’re often irregular, no matter your diet. Add irregularity to my menopausal weight gain, and I found myself feeling uncomfortable and lethargic more days than not. Then I found Tone deTox . . .
No more irregularity, no more bloating, and I lost 16 pounds in less than a month! The great thing about Tone deTox is that is works so effortlessly, no cramping, and no side effects. Just a noticeable improvement in how I look and feel. This is great!! The biggest difference I've notice is in my mood!! But I lost a couple inches around my waist too! Yay!! Great Relief! We were getting ready for a cross country road trip and my biggest concern was I often have bloating and constipation while traveling~ all the eating out gets to me. After talking with my Dr. he recommended a natural cleanse to take with me. I bought this product to take with me during the trip to help ease that pain. I will say it works wonders! It is not like what you think of a "detox" - where you are literally stuck to the toilet. This was gradual and adjusted to my body to help me stay on a schedule and feel "lighter". Not one day was I constipated or had pain in my stomach. This is my new go to and will keep this handy for every trip. Bonus- I actually lost weight too instead of the normal gain we have from vacations. Bloating gone. Using this detox has worked wonders for my bloating issues.